Now that the iPad has sold 1 million units, all the accessories companies are fighting each other to make the coolest items to go with it. On our most recent visit to the Apple Store, they told us that the Apple-made case ($39) is way sold out and won’t be back in for at least a month. That’s the case we purchased, and although it’s not super attractive, the front cover can be flipped around to provide a stand for typing or watching movies. Which we’ve done often. We also bought an iPad dock ($29), which we haven’t used at all. 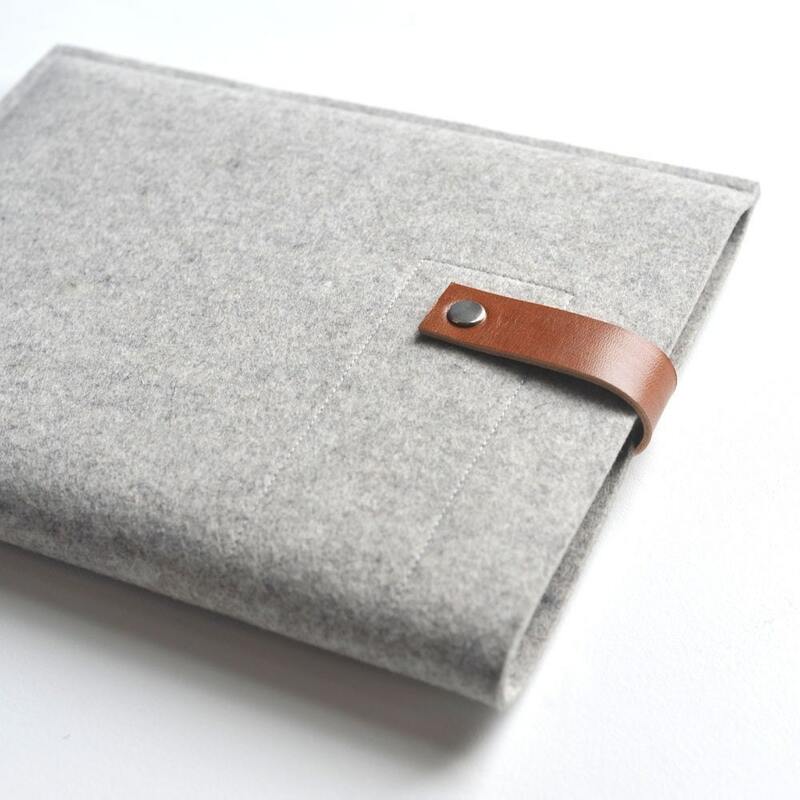 The most beautiful case we’ve seen is this one, for $50, handmade in San Francisco–it turns your iPad into a “moleskine” case, with a fake leather wrap and an elastic strap and bamboo around the iPad itself. Another handmade case, this one from Minneapolis, uses industrial felt and leather, and is sold on Etsy. We have used a wireless keyboard ($69), the one that comes with all new iMacs, to connect via Bluetooth. It makes the typing experience on the iPad quick & easy. Not so good for travel, as the keyboard is big and a little heavy, but excellent for home or office use. Last, if you use your iPad for showing off your photos, you might want to get the iPad Camera Connection Kit ($29). It allows you to connect your camera (using a USB cable) or directly connect an SD card. So you can load photos directly from your camera or media to the iPad.